When the Washington State Legislature decreed that their state parks must do more to be self-sustaining, they created a new program called "Discover Pass." In order to access many of Washington's public lands, including the state parks, folks are in many cases being required to pony up more money for access passes. Read that $35 a year, or $11.50 a day. At the time, the lawmakers also provided "bridging" funds to help the park system wean itself over to being totally self-sustaining. A few problems have shown up with the system, the greatest of which is the economy. Recently Washington's governor called for yet another special legislative session to try and sort out a projected revenue shortfall of nearly one and a half billion dollars. Agencies are being asked to come up with plans to chop their budgets by 10%. With state parks already mandated into being self-sustaining, lawmakers are looking at chopping off some of those bridge funds. "Discover Pass is not bringing in the revenue so far that we hope it will," says Washington Senator Kevin Ranker, D-Orcas Island. "We still have to do some tweaks. The reality is, we have to raise money from the Discover Pass to keep our parks open. We are not going to get rid of the Discover pass." To try and make the Discover Pass more accessible, the state now makes it possible for residents to buy the pass when they renew their motor vehicle tabs. That's salt in the wound to some. 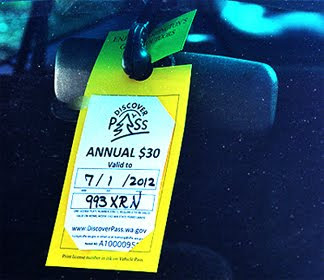 The Discover Pass is tied directly to a given vehicle. Buy the pass for your pickup truck used when hunting on public lands, you can't move it to your motorhome to go make a visit to a state park. At $35 a pop, some residents are seeing red. State legislators say that wasn't their intent, and want to fix the problem in the next session. A few weeks ago a group of lawmakers met and signed off a letter to two state land agencies, asking them not to write tickets to folks who "transfer" their pass from one vehicle to another. But news reports indicate that the letter evidently hasn't had the desired effect. One law enforcer for the state's Fish and Wildlife Department told the Spokesman Review newspaper, "We’re not being advised (by superiors) to not enforce the law, let’s put it that way." Due to extensive roadway embankment stabilization and subsurface compaction grouting efforts, Stevens Canyon Road is closed between the gate located just west of the Grove of the Patriarchs to just east of the popular Backbone Ridge viewpoint through the 2011-2012 winter season. Visitors will be able to access the Reflection Lakes, Box Canyon and Backbone Ridge areas and adjacent trailheads from the west during the fall 2011 closure. During the closure, visitors can access the Paradise area only from the southwest via the Nisqually Entrance at the east end of SR 706. Visitors traveling from the east via SR 410, SR 123, and/or US 12 who wish to visit the Paradise area can detour via SR 7 beginning in Morton on US 12 and ending on SR 706 at Elbe. (US 12 may have delays due to road work, for more information check the Washington State Department of Transportation WASDOT). The park service notes that while the construction, closures, and traffic delays present an inconvenience, the rehabilitation work will not only improve the driving surface of the roadway, but ensure its longevity. Western Washington's Fort Casey State Park will soon offer electrical hook-up campsites. But for now, stay away: the campground is closed for the upgrade. It is expected to reopen Oct. 20, 2011. The day-use areas will remain open during the construction. The project, which includes the installation of underground electrical and water line repairs will upgrade 14 standard campsites to electrical hook-up campsites. Fort Casey State Park is a 467-acre marine park located near Coupeville on Whidbey Island and features a lighthouse and sweeping views of Admiralty Inlet and the Strait of Juan de Fuca. Campsites are available first come, first served. A coast artillery post features two 10-inch and two 3-inch historic guns on display. 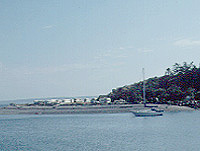 The park features 10,810 feet of saltwater shoreline on Puget Sound (Admiralty Inlet), and includes Keystone Spit, a two-mile-plus stretch of land separating Admiralty Inlet and Crocket Lake. The park campground has one restroom and shower. 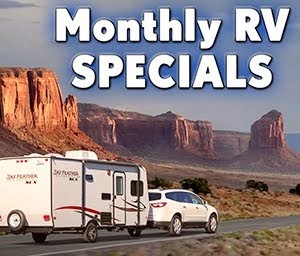 The maximum size RV is 40 feet. Campsites are located next to the Keystone ferry terminal, which makes walking on the ferry for a visit to pretty Port Townsend a snap. Camping fees range from a primitive site for $12 a night to $27 for partial hookups. The dump fee is free to campers, $5 for others. Coming up this weekend: National Public Lands Day, Saturday, September 24, 2011. Washington's Mount Rainier National Park is looking forward to masses of folks coming to plant native plants, maintain trails, and rededicate the Glacier Basin Trail after four summers of repairs. The work day will cap a highly successful season during which about 2,000 people have contributed to the protection of Mount Rainier’s natural and cultural treasures and helped serve its visitors. 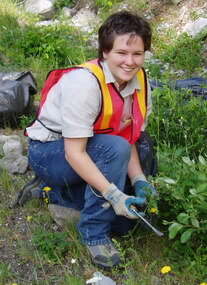 Volunteerism has a major impact at the big mountain park. Last year, 2,016 volunteers contributed 73,990 hours of service, an effort valued at $1.54 million. Park officials are hoping that this weekend's volunteers will make a huge difference in this last big push for the season. Of course, the Washington venue is just one of many across the country. More than 120,000 individuals are expected to participate in events all over the nation. In recognition of this, entrance fees will be waived at all national parks for the day. Volunteers will receive an additional coupon for free admission on a day of their choice. At Mount Rainier, the National Parks Conservation Association and the Washington Trails Association will help coordinate the event and lead volunteer projects. Participants may register at the event, or pre-register by e-mailing Mariely Lemagne at mlemagne@npca.org. Volunteers will sign in at the amphitheater in White River Campground, in the northeast corner of Mount Rainier National Park, beginning at 8:00 a.m. Beware that the Stevens Canyon Road in the park is closed due to construction. The White River Campground can be reached via State Highways 410 or 123. Volunteers of all ages will help with revegetation efforts at Sunrise and with several trail projects near White River Campground. Come prepared for cool, wet weather, with warm clothing, rain gear, sturdy footwear, and gloves. If the weather is nice, sunglasses, sunscreen, and hats are recommended. Volunteers should also bring water, snacks, and a lunch. Volunteers will re-gather at the amphitheater in White River Campground at 3:30 p.m. for a more informal celebration, with refreshments provided by the Washington Trails Association. Information about Mount Rainier’s volunteer program, including a list of open positions, a calendar of activities, and pictures and videos of volunteers in action may be found on Mount Rainier National Park’s website at www.nps.gov/mora, or on its volunteer program blog at rainiervolunteers.blogspot.com. Last June we wrote about the dilemma facing Washington State Parks' officials when a tree disease was discovered in Kopachuck State Park. The disease made it hazardous for folks to stay in the park, as diseased trees could fall without notice. What to do? Close the park until the situation sorted itself out, taking a period of years, or cut the diseased trees down? Park officials took t he public pulse and decided it was better to cut the trees down and reopen the park. But those majestic evergreen trees are close to the heart of the people, and so one official with feelings went a step farther than just saying, "Fire up the chain saws!" State Parks Commissioner, Pat Lantz, felt a stirring within herself and called up an artist friend and told her of the impending demise of Kopachuck's trees. “When Pat told me about the situation, the image that came to my mind was of intertwined roots, of all the trees’ roots connected together,” Robin Peterson told a reporter from The Kitsap Sun. “I knew I wanted to bear witness to this sad process, even though it’s a natural thing.” Peterson contacted other artists and they put together a gathering of art folks to record the giant trees before the arrival of the woodsman and his ax. 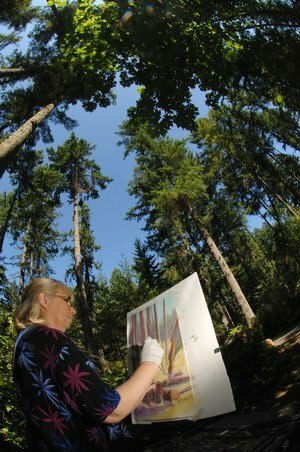 The artists have put together an exhibit of their work entitled, “Intertwined — Requiem for the Trees,” that will be shown at Gig Harbor, Washington's Harbor History Museum. We'll update you when the dates for the show are released. UPDATE 9/15/2011: Robin Peterson tells us that the show dates are set. "Intertwined, Requiem for the Trees" exhibit will be held at the Harbor History Museum September 30th through October 17th. A reception will be held on Friday, September 30th from 5:30 - 7:30 pm.